The constitutional principle respecting access to justice was given a major shot in the arm today. In what I consider to be a stunning decision, the Supreme Court of Canada has given real force and effect to this unwritten constitutional principle and ruled that British Columbia’s civil hearing fee regulations are unconstitutional. The Court is increasingly aware, it would seem. that the unwritten constitution may be as important and sometimes more important than the written one. The decision of Trial Lawyers Association et al v. British Columbia, 2014 SCC 59 is a game changer. On Friday, in Allart v. Alec’s Automotive Machine Shop (2003) Ltd., 2014 BCSC 476, Madam Justice Bruce of the British Columbia Supreme Court ruled that the appellant’s constitutional challenge of Rule 18-3 of the Supreme Court Civil Rules (appeals from Provincial Court, Small Claims) could not succeed. In so doing, however, she recognized the plight that many litigants face when dealing with an appeal from the Provincial Court, namely the costs of a transcript of the Provincial Court proceedings. In my view, while this case does not deal substantively with the issue as to whether the requirement that one pay the costs of the transcription of the proceedings below results in a barrier to access to justice, it raises tangentially the question as to whether access to justice has become an illusory concept for most Canadians. When does the failure to fund legal aid become unconstitutional? Today I attended a Provincial Council meeting for the Canadian Bar Associaton – British Columbia Branch. At that meeting, representatives presented a report on behalf of the Legal Services Society, the organization responsible for delivering legal aid services to British Columbians. Their report was shocking. British Columbia’s funding of legal aid has dropped from being one of the best in the country in 2002 to one of the worst in 2013. Cuts to funding of the Society have resulted in drastic cuts to the services, in terms of numbers of persons represented, in terms of the numbers of types of cases in which legal aid representation can be obtained and in terms of the numbers of lawyers participating in legal aid cases. And more cuts are still to come. In my view, the question as to the quality and quantity of access in justice in our society poses a constitutional issue. In a case that is going to the Supreme Court of Canada, Vilardell v. Dunham, 2013 BCCA 65 (sub nominem Trial Lawyers Association of British Columbia v. Attorney General for British Columbia in the Supreme Court of Canada), the general question as to the application of the constitutional principle of access to justice is squarely raised. That appeal will focus on whether hearing fees charged by the Government of British Columbia to users of the justice system are an impediment to justice and whether, if they do impede access to justice, that impediment is unconstitutional by virtue of constitutional principle promoting and protecting access to justice (the case will be heard on April 14, 2014). This case will not deal with legal aid but will confirm access to justice as a constitutional principle of the Canadian federation. 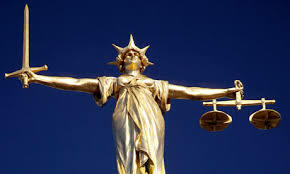 At some point, when those able to access our system of justice are restricted to the rich (or those whose circumstances permit representation by way of a contingency fee agreement), the justice system becomes a system of injustice. To be effective, there must be a reasonable means of participating in the legal process for all users, not just the few. I am not suggesting that all access to justice must be equal for all participants. But it should not be one that is solely based on income levels and status in society. Arguably, for many matters now, “justice” as meted out by the legal system in British Columbia has become illusory for a large part of our society. Self-represented litigants are increasingly frequent in the courts and, when pitted against an opposition that is legally represented, are often overwhelmed and feel unheard and unjustly treated. Many of them may well be unheard and unjustly treated – not through the fault of the judges hearing their cases but simply because the battle is so unfairly skewed in favour of the represented party (whether that party be a private person or corporation or the State). Many of these matters require legal representation in order to be properly presented and dealt with. Should the constitutional principle of access to justice mandate at some stage that the Government open its purse strings or allocate greater resources to legal representation for those facing dire circumstances in the courts of the land? At some stage, I am of the view that must be the result. Failure to give effect to such a principle would be to condemn whole components of society to alienation and marginalization. I do not know whether British Columbia is at that point now. The presentation from the Legal Services Society that I watched was chilling. The numbers and charts and graphs that were put up on the PowerPoint screen represented in an impersonal, clinical manner an increasing number of deeply despaired and helpless people. I would rather see our Government and Legislature give positive and real effect to the notion of access of justice than having the courts force them to do so. But at some point, a line is crossed and the only line of defence for the rights of the people remains the courts. In British Columbia, let’s hope that the question remains an academic one.